Providing you the best range of acrylic fruit counter, acrylic multi compartment plate, acrylic platter, 3 in 1 square acrylic compartment plate, acrylic chat plates and acrylic counter set for catering display with effective & timely delivery. We are considered as the eminent enterprise, engaged in supplying a wide range of Acrylic Fruit Counter. Our offered products are appreciated for its premium quality, accurate dimensions and durability. Our collection is vastly used in national and international markets. Our workers customize the offered products as per the various requirements of our clients. Features: Splendid looksPerfect finishLight weight. Acrylic Fruit Counter offered is made available in exciting designer finish. We feel proud to introduce ourselves as the well-known manufacturer and supplier of Acrylic Multi Compartment Plate. 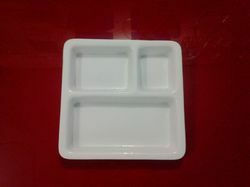 The offered Acrylic Multi Compartment Plate is used for serving meals in homes and restaurants. Our supplied Acrylic Multi Compartment Plate can be safely used in microwave ovens and cleaned in dish washers. The offered Acrylic Multi Compartment Plate is very economical. We are one of the well-known manufacturers and suppliers of Acrylic Platter. The offered Acrylic Platter is commonly used in the hotels, restaurants and motels for displaying and serving food items. Our supplied Acrylic Platter is easy to clean and wash by using tap water and dish bar. The offered Acrylic Platter is appropriately sized. We are the prominent manufacturer and supplier of 3 in 1 Square Acrylic Compartment Plate , these are known for their best quality in market. We deliver quality to our client. 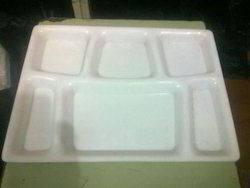 Our client can avail these 3 in 1 Square Acrylic Compartment Plate at very reasonable price. Our expert designers craft the signage that helps to leave an everlasting impression on your guests. We assure safe and timely delivery of our products. We are the prominent manufacturer and supplier of Acrylic Chat Plate, these are known for their best quality in market. We deliver quality to our client. Our client can avail these acrylic stands at very reasonable price. Our expert designers craft the signage that helps to leave an everlasting impression on your guests. We assure safe and timely delivery of our products. We are a trusted name in the industry for manufacturing and exporting Acrylic Counter Set for Catering Display. 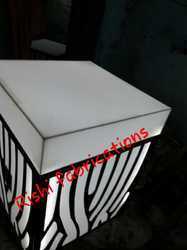 We are a delhi based entity that has a good amount of experience in manufacturing of acrylic counter set for catering display. Acrylic Counter Set for Catering Displayoffered is made available in exciting designer finish. We are one of the well-known manufacturers and suppliers of Acrylic Octa Donga. The offered Acrylic Octa Donga is designed in the shape of an octagon. Our supplied Acrylic Octa Donga is commonly used for serving soup and semi-liquid food. The offered Acrylic Octa Donga is highly liked for being substantially unbreakable and durable. Our supplied Acrylic Octa Donga is very affordable in rates. We are one of the widely acclaimed manufacturers and suppliers of Acrylic Compartment Dinner Plate. The offered Acrylic Compartment Dinner Plate is designed with multiple compartments for serving several food items. 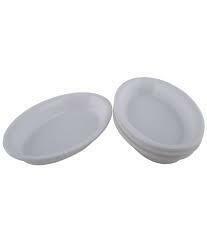 Our supplied Acrylic Compartment Dinner Plate is easy to wash and clean with tap water. 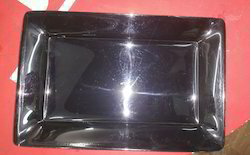 The offered Acrylic Compartment Dinner Plate is very affordable. We are one of the leading manufacturers and suppliers of Acrylic Sectioned Plate. The offered Acrylic Sectioned Plate is highly appreciated for separate sections of food. Our supplied Acrylic Sectioned Plate is properly sectioned into separate compartments for serving several food items in one plate. 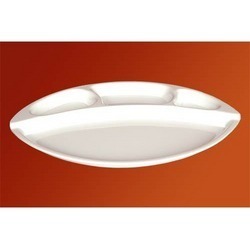 The offered Acrylic Sectioned Plate is commonly used in homes and restaurants. 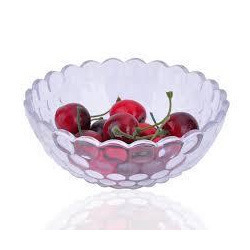 We are known in the market as a manufacture and exporter of Acrylic Fruit Bowl. 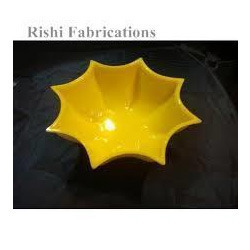 These Acrylic Fruit Bowl are known in the industry for long lasting and fine finish. Our products are designed with the best quality raw material and latest technology that makes them very popular and demanded. Our clients can avail our products from us at pocket friendly prices. 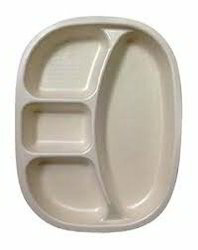 We are one of the leading manufacturers and suppliers of Acrylic Snacks Plate. The offered Acrylic Snacks Plate is specially designed and fabricated for serving snacks in parties. Our supplied Acrylic Snacks Plate is highly liked and acclaimed by the clients, owing to the versatile design and hard wearing fabrication. The offered Acrylic Snacks Plate is very affordable in price. Acrylic Square Chat Plate Being an eminent enterprise, we are instrumental in providing our clients a high quality range of Acrylic Crockery . These Acrylic Square Chat Plate are highly demanded by customers for their simple design, sturdy construction and durability. Some of our Acrylic Crockery includes acrylic katori, acrylic soup cup, acrylic fruit bowl etc. We manufacture our utensils using high grade acrylic fibres and latest technology. Our kitchen utensils are largely appreciated due to chief features like superior tensile strength, attractive color patterns and moist resistance. We have developed a well equipped infrastructure for efficient production, packaging and distribution of our kitchen utensils. Our kitchenware finds applications in Residences, Canteens, Restaurants, hotels and other establishments.